The Townsend Lab is interested in how the brain coordinates energy balance and how the central and peripheral nervous systems undergo plasticity. This research impacts the study of obesity, diabetes, metabolic syndrome, aging, and neurodegenerative diseases. We utilize both in vitro and in vivo models, integrating the fields of neurobiology, metabolism & biochemistry, physiology & endocrinology, and cell/molecular biology. Our work includes the following topics: obesity and body weight regulation; hypothalamic and extra-hypothalamic control of appetite; CNS fuel utilization and energetics; dietary effects on energy balance; control of adipose tissue development and function (brown and white adipose tissues); activation of energy expenditure via peripheral nerve activity in adipose depots; adult neural stem cells; neurotrophic factors and neuropathy; and central and peripheral neural plasticity. 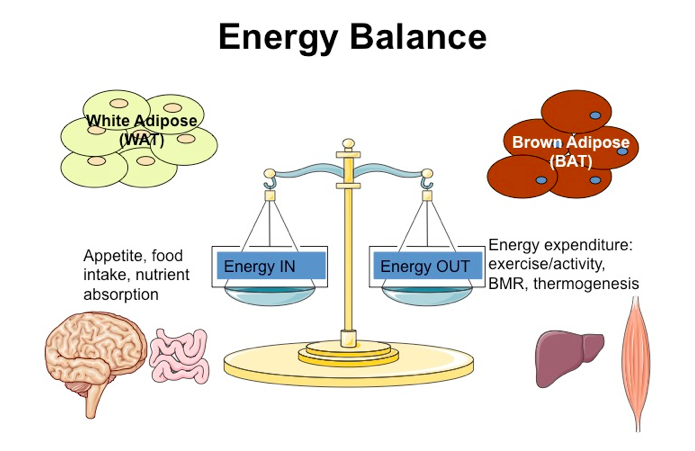 For this project, we are interested in the bi-directional communication between the brain and both brown (energy-expending) and white (energy-storing) adipose tissues. This is accomplished through the endocrine system (circulating factors) and the nervous system. Adipose tissue nerves include sympathetic nerves that send signals from the brain, and release neurotransmitters like norepinephrine, which binds receptors on adipose tissue cell types. Adipose tissue also contains sensory nerves, which send signals back to the brain. We are interested in further identifying the neurotransmitters, neuropeptides, and neurotrophic factors that are active in adipose tissue as well as learning more about adipose nerve plasticity is regulated. Research has already revealed the importance of adipose tissue neural innervation, as loss of this nerve supply through chemical, surgical or genetic denervation techniques leads to improper metabolic control in the tissue and may exacerbate conditions like obesity, metabolic syndrome, and diabetes. For this project, we are investigating novel populations of ANSCs in the brain and determining how metabolic state (ie: exercise, fasting/re-feeding) affects the ability of these cells to proliferate, differentiate, migrate, and integrate in the mature circuitry by forming synapses. Hypothalamic tanycytes are one population of cells known to be involved with both adult neural plasticity and metabolic control. In addition, we are exploring the involvement of the bone morphogenetic proteins (BMPs), a family of growth factors that we have demonstrated are important for regulating energy balance in the brain. The BMPs are also likely involved in adult neural plasticity. Thank you to the webmasters for this site, Callie Greco, Lila Lyons, Ashleigh Beaulieu, & Sarah Berez (students in the lab)!